My Mom will be turning 90 this spring. My brother wants to throw a huge party to celebrate "this milestone birthday", and would like me to pitch in with the cost. I would not have a problem with this if I felt Mom was up to a party, but I think a huge party will be too much for her at this advanced age. Her health is good, for a 90 year old, but she does like to take a nap during the day and tires easily with any excitement. I would like to observe my mother's birthday simply, with a small luncheon. My brother feels that not having a party will disappoint a lot of people who would want to come "offer their congratulations and respect" to Mom, which has me thinking he only wants to have a party in order to collect the cash gifts that people are all but certain to bring. He has a history of doing this with his children's milestones. I am disgusted with this way of thinking and told my brother so. He replied that he will put "no gifts" on the invitation, but if people bring cash offerings he will not insult people by refusing them. Tazi, what can I do? If I refuse to assist with the party it looks like I am ducking out of my mother's celebration. I know she will not be up to having both a big party and a luncheon, so it will have to be one or the other. Why not ask your mother how she would like to celebrate her birthday? It is her party, so she should be the one to decide what type of gathering is planned. 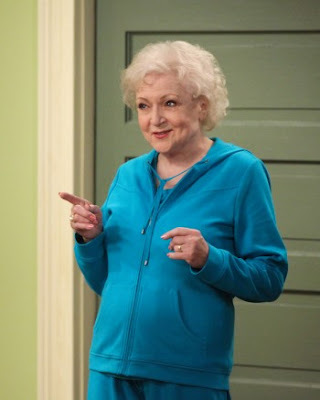 Some nonagenarians are not up to the rigors of a huge party; others are like Betty White - still working at 93 (a belated Happy to you, O Hero to the Animals!)! [Ed. Note: Ms. White turned 93 on January 17th]. While I personally do not like your brother's idea of using your mother's birthday as a fundraising occasion, many people - and entire cultures - see nothing wrong with this practice. Again, the decision to accept gifts or to politely refuse them should be left up to your mother. It is her birthday and the last time I checked, the title "Mother" indicates that she is the one in charge! As her children, you should respect her wishes - no matter how grown you are!